Shopping for organic shampoos can be a bit of a minefield. Have you heard of the term “greenwashing”? It is a term used to describe the deceptive practice of hiding unpleasant information through “green” marketing and advertising claims. When it comes to organic shampoos, greenwashing is rampant. 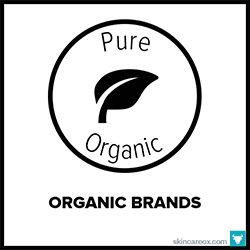 A company may claim to use all-natural and organic ingredients, while simultaneously glossing over the fact that their formulas also contain toxic and irritating chemicals. This can be especially challenging for people with sensitive skin and scalp conditions who need absolutely pure formulas (like seborrheic dermatitis, folliculitis, psoriasis, and hair loss). If you’ve been searching for a truly organic shampoo, then you’ve come to the right place. We set the bar high for this top list of the best organic shampoo products. Our research began with over 200 so-called “natural” products and it was eventually whittled down to just 27 products that made the cut. 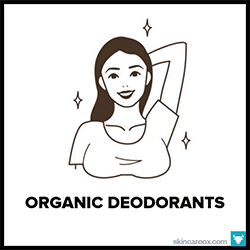 Not only does every organic shampoo on this list contain organic and all-natural ingredients, but you won’t find any sulfates, parabens, irritating foaming agents, phthalates, formaldehyde, oxybenzone, ethoxylated ingredients, polysorbates, phenoxyethanol, petrochemicals, triclosan, TEA/DEA, synthetic fragrances and colors, and countless other Bad Ingredients Commonly Found in Shampoos. All ingredients have been thoroughly researched and checked against the Environmental Working Group’s Skin Deep® Cosmetics Database to ensure that they are safe for use. With that said, finding the right organic shampoo for your hair type can still be a process of trial and error. If you’re making the switch from synthetic hair products over to organic/natural products, it is important to know that it may take some time for your hair to properly detox and adjust. Since many organic shampoo formulas do not contain harsh detergents or foaming agents, it can take several washes to fully remove any leftover residues and buildup. You can speed this process up with a simple apple cider vinegar hair detox. Just mix ¼ cup organic apple cider vinegar into 2 cups of water and thoroughly rinse your hair with this solution once per week. This will help to eliminate residual grime without stripping your hair of its natural oils. Want a great organic conditioner to go along with your new organic shampoo? Then check out our guide to The Best Organic Conditioners That Are Truly All-Natural! Want our experts to choose the best organic shampoo & conditioner for your hair type? Then, check out The Ox Box! The Ox Box is a premium organic skin care subscription box filled with products that have been hand-selected for your specific skin type and skin conditions. Not only is this shampoo made with certified organic ingredients, you can actually pronounce and understand the entire all-natural ingredient list. This gentle shampoo will remove excess oil and dirt without stripping your hair of the good oils and drying it out. The result is super shiny, soft, and manageable hair with a light citrus scent. Key ingredients include aloe, green tea, pink grapefruit, rosemary, coconut oil and rose hydrosol. One of the few fragrance free organic shampoos available. Gentle enough for daily use and great for color-treated hair. It lathers nicely, leaves hair feeling really clean, and delivers on its promise of softer hair. This shampoo has earned an EWG rating of 1 and contains 13 truly effective organic herbal ingredients like seaweed extract, nettles, oatstraw, horsetail, sea buckthorn, chamomile, and marshmallow root. A true powerhouse formula! This organic shampoo formula is incredibly gentle. We tested it on individuals with sensitive scalps (from folliculitis to eczema) and the results were very positive: it soothed their skin without causing flare up of the conditions. That's because this shampoo is made from quality certified organic and all-natural ingredients like coconut oil, olive oil, sunflower oil, aloe, shea butter, and rosemary. Simple, effective, and totally non-toxic. An absolutely pure shampoo made with nothing but organic and all-natural plant-based ingredients (no gimmicks or odd chemicals). This shampoo is great for those with dry, brittle, and lack-luster hair in need of serious restoration. Lathers just enough to get the job done. Coconut oil helps to replenish moisture and add strength, while honey, neem, rosemary, and calendula help to detoxify. Also, made with certified organic rose water and aloe. One of the highest rated organic shampoos on the market for hair growth and hair loss. A lovely formula made with 75% organic and 25% natural ingredients designed to get at the root causes of hair loss. It is made with antioxidant and vitamin-rich ingredients like lavender, hibiscus, gotu kola, patchouli, and cloves which work to balance scalp oils, unclog hair follicles, and strengthen roots. You should start to notice results in about 30 days. Josh Rosebrook may very well be the king of organic shampoos. Almost the entire bottle of this organic Balance Shampoo is made with organic and wildcrafted ingredients (the other ingredients are non-gmo). This formula was created for normal to oily hair types who need deep cleaning in order to achieve volume. Hair is left feeling clean, manageable, and weightless. Key ingredients include meadowfoam oil, ginseng, dandelion, horsetail, and aloe. Miessence products always seem to make it onto our lists -- and for good reason: their products are made with the absolute purest organic ingredients and have stellar reviews across the web. This shampoo is no exception. Made from a blend of proteins, oils, and natural foaming agents, this shampoo will restore your hair's natural shine and moisture. Key ingredients include yucca, vitamin B5, avocado, burdock, elderberry, and sunflower oil. Another fragrance-free formula from Nurture My Body that is packed with 14 certified organic ingredients. All ingredients receive a score of 1 from EWG's Skin Deep, meaning they are safe and non-irritating. This organic shampoo is designed to give body, bounce, and volume to fine hair with a blend of honey, oats, and nettles. The product has a nice lather and is gentle enough for everyday use. Fans call it the best shampoo they've ever used. Another great organic and all-natural shampoo from 100% Pure (no "greenwashing" here). If you're looking for to add body and shine to thin, limp, and lifeless hair, then this is your shampoo. It creates a nice lather that rinses away dirt and oil without drying out your hair. Fans of this product love that it doesn't leave a film or weighs hair down in the process. Key ingredients include organic aloe, coconut oil, burdock, and green tea leaf. This organic shampoo is so pure, you might just want to use it as a body wash. This little mom + pop brand has made one of the best organic shampoos available. It is made with organic and natural botanical ingredients and nothing else. It creates a light lather that cleanses hair while leaving it super soft, shiny, and full of body. It's great for color-treated hair because it doesn't strip your hair of its natural protective oils. A must try. A good choice for those with sensitive scalps due to dandruff, irritation, dermatitis, or extremely dry skin. This is an unscented, hypoallergenic, and herbal-based formula that is even gentle enough for color-treated hair. The key herbs in this organic shampoo are rosemary (detoxifies scalp), saw palmetto (prevents hair loss), nettle (for circulation), burdock (soothes irritation), and horsetail (hair growth). Made with ingredients which all receive a score of 1 from EWG's Skin Deep Database for safety, this organic shampoo from Acure is a great economical choice for daily use. It washes away dirt and oil completely without drying out hair (so, it's good for thinner hair types). The only thing it leaves behind is a nice scent of lemongrass. 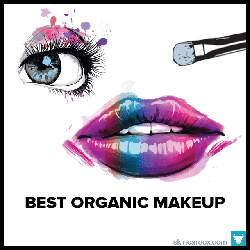 Key organic ingredients include acai fruit, rosehips, chamomile, calendula, argan oil, and pomegranate juice. A totally organic, natural, and plant-based shampoo from Toronto luxury brand, LoveFresh. The formula is very similar to their Lavender and Tea Tree Oil organic shampoo except this contains essential oils of rosemary and spearmint. This formula is great for those with sensitive skin as rosemary and spearmint are great at gently stimulating, clarifying, and detoxifying the hair and scalp. A beautiful all-natural shampoo for all hair types. Are you suffering from a dry, itchy, irritated, or flaky scalp? Chances are, it's the result of harsh or irritating chemicals lurking in your traditional shampoo. This formula is made with 100% natural and organic ingredients designed to soothe your irritated scalp, unclog follicle pores, and help bring life back to your roots without drying them out. Made with calming aloe, coconut oil, eucalyptus, peppermint, neem, tea tree, and burdock root. This classic shampoo from Rahua is made with USDA certified organic ingredients and is perfect for daily use. It contains the brand's signature Rahua oil, which nourishes the scalp and hair follicles. It also contains palo santo oil which gives the product an earthy scent. The shampoo has a light lather which does a good job at removing excess oil and dirt. Other key and organic ingredients include aloe, green tea, rosemary, and raspberry leaf. Acure Organic's shampoos made this list because they are free from questionable chemicals and packed with organic ingredients. They have a few ingredients that may sound scary, but they all receive a score of 1 from EWG's Skin Deep Database for safety. They also work well at an affordable price. This formula has a nice lather and leaves a hint of the argan oil behind for softness (which some people love and some people find too greasy). Another amazingly luxurious organic shampoo formula from Josh Rosebrook. All ingredients are either certified organic, wildcrafted, or non-gmo. It cleanses with gentle African black soap and hydrates with camelina seed oil, grape seed oil, almond oil, coconut oil, and jojoba oil. Also contains scalp nourishing and growth stimulating ingredients like nettles, dandelion, horsetail, nettles, sage, and peppermint. Great for normal to dry hair types. Packed with a variety of vitamins and nutrients, this shampoo was specifically crafted to reduce hair loss and stimulate new hair growth. Hair growth can become stunted by clogged pores which prevent the absorption of nutrients and blocks hair from growing. The combo of apple cider vinegar + turmeric (clears pores and detoxifies) and stimulating ingredients like biotin, caffeine, ginseng, and mint are sure to boost your hair length in no time. Totally cleans your hair and scalp without harsh chemicals or drying out your hair. It is packed with azulene (the signature calming blue compound found in blue tansy) which does a great job of soothing irritated skin. That makes this shampoo great for those with inflamed, dry, or irritated scalps. This formula won't weigh down your hair while leaving it silky smooth + soft. Other star ingredients include spirulina, yarrow, yucca, and aloe vera. Bubble and Bee is one of our favorite brands because they have high standards when it comes to their ingredients and formulas. This organic shampoo is no exception. It is crafted from just 13 ingredients (including 11 organic). Without harsh detergents, this shampoo actually doubles as a shampoo + conditioner combo as it balances your hair's pH to achieve maximum softness. Can be a bit greasy for some hair types or those with hard water. This shampoo is formulated with 75% organic and 25% natural/wildcrafted ingredients. It's a great solution for those with thin, dry, and extremely frizzy hair because it is formulated with nourishing ingredients like argan oil (supports hair protein production), jojoba oil (balances oil production), rosemary (detoxifies scalp), and peppermint (stimulates circulation). A nice sized bottle which creates a good lather, so a little goes a long way. Although this organic shampoo contains peppermint oil, it actually has a very light scent that is almost unnoticeable. Works great at adding volume and doesn't weigh hair down. If you have super oily hair and are used to a heavy lather, then this may not be the best product for you. It's better for thin, fine, and drier hair types that want that extra lift. Contains organic, natural, and non-toxic ingredients all rated 1 by EWG's Skin Deep. A nice organic shampoo formulated with nourishing Rahua oil (be careful of fake versions when buying from Amazon.com). This formula adds a ton of shine and volume. Clarifying ingredients like lemongrass, eucalyptus, and green tea remove excess oils and dirt which allows your hair to feel weightless. This shampoo also has a tiny bit of shea butter for added moisture. It doesn't have a strong lather, so it's best for those with thin hair types. LoveFresh is a Canadian luxury organic brand that makes some really incredible products: like this 100% natural and organic Lavender and Tea Tree shampoo. Designed for weak, damaged, and color-treated hair, this shampoo gently removes dirt and oil while adding nutrients to strengthen hair over time. Packed with organic goodies like lavender, rosemary, horsetail, sage, nettle, ginseng, calendula, olive oil, hempseed oil, and seabuckthorn extract. Perfect for curly and dry hair types who need a moisturizing shampoo that doesn't leave a film or weighs down hair. This shampoo has ultra-lightweight ingredients which can seriously help your hair to absorb and retain moisture. Star ingredients include seaweed collagen, aloe, biotin, chamomile, cucumber fruit, argan oil, and horsetail. Even the dry hair will feel soft, bouncy, and manageable. Made with just organic and all-natural ingredients. While all of Laritelle's organic shampoos are made with ingredients to help with hair loss, this product in particular is better suited for those with oily and unmanageable hair. It is formulated with ingredients that clarify and rebalance your scalp's sebum production. 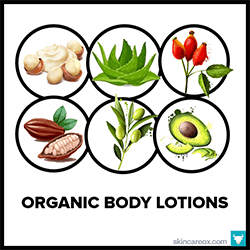 These include organic jojoba oil, argan oil, clary sage, and ylang ylang. It also contains organic bay leaves which help to fight dandruff. Made with 75% organic ingredients. This shampoo is made with 100% natural and 70% organic ingredients including coconut oil, aloe, chamomile, horsetail, nettle, and rosemary. These ingredients cleanse while adding body, shine, and strength. The shampoo has a nice lather, but doesn't leave hair feeling dry. Although this is a non-toxic and fairly gentle formula, this formula does contain organic alcohol and may not be best suited for extremely sensitive scalps. It pays to study the list of ingredients on each and every personal care product. Unfortunately, we don’t live in an age where you can simply trust the brand to be totally honest about their ingredients and product safety. While the list of irritating and potentially toxic ingredients that can be found in shampoos is nearly endless, there are a few bad ingredients which show up more than others. Below, you will find some of the ingredients that appear frequently in many products marketing themselves as “organic” and “all-natural.” It is important to note that not all of the ingredients below are necessarily toxic or will cause harm to your health—many of them are simply harsh, highly irritating, and should be avoided for the benefit of your skin. Mild to strong detergents and surfactants which can be found in industrial cleaning agents. Can cause irritation of the scalp, eye, and skin (1). May cause hormonal imbalances. May contain a suspected carcinogen, Dioxane (2), due to manufacturing processes. Used to produce foam and labeled “natural” because it is derived from coconuts. Known to cause allergic reactions, eye irritation, skin irritation such as burning and itching, and can contribute to dermatitis (3). Can be contaminated with carcinogenic nitrosamines (4). Inexpensive preservatives used in cosmetic products. The Environmental Working Group estimates that that nearly 60% of all cosmetic products contain parabens. Studies have shown that parabens can be absorbed through our skin and into our bloodstream where they then accumulate in our cells. Parabens are xenoestrogens which mimic estrogen in the body and disrupt our natural hormonal balance. A 2004 British study discovered parabens within breast cancer tumors, leading to a fear that there may be a link between paraben exposure and breast cancer. Commonly derived as a petroleum byproduct and can be found in a variety of liquid skin care products as well as antifreeze, brake fluid, and paints. It is used as a solvent, stabilizer, and humectant in many beauty products. Potentially toxic to kidneys and liver function (5). The Environmental Working Group notes that PG use has been linked to contact dermatitis and irritation in humans (6). May be contaminated with possible carcinogens ethylene oxide and 1,4-dioxane (7). Preservative which can has been linked to contact dermatitis, allergic reactions, organ toxicity, and irritation of the skin, eyes, and lungs (8). A very high health hazard because of its ability to cause cellular changes (possible carcinogen) and its potential to cause organ toxicity (9). Rated as a moderate hazard by the Environmental Working Group due to possible contamination with 1,4-dioxane, a possible carcinogen which penetrates the skin (10/11). Commonly used as a conditioning agent in hair care products. Known to be toxic at concentrations of .1% or higher. Can be irritating to the skin and can cause damage to delicate eye tissue (13). A common preservative found in food and cosmetics. The Environmental Working Group gives Sodium Benzoate a score of 3 and notes potential concerns regarding reproductive and organ toxicity, irritation, and cancer (14). Can create benzene (a known carcinogen) when combined with vitamin C.
Generally found in hair care products because it coats the hair in a synthetic plastic-like substance making it appear smooth, silky, and shiny. This is a temporary fake plastic seal which can weigh hair down and block water, air, and other nutrients from being absorbed. Can also trap dirt, oil, and bacteria on the scalp (leading to acne or irritation). It’s really scary to have toxic shampoos at home. Thanks for sharing these non-toxic shampoos!